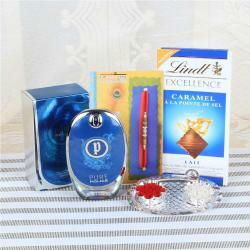 Product Consist: Scuderia Ferrari Black Eau De Toilette Vaporisateur Natural Spray (Weight: 125 ml), 2 Bars of Hershey's Creamy Milk Chocolate (Weight: 35 gms), Stunning Rudraksha Rakhi along with Roli Chawal Container. 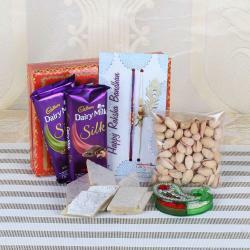 A perfect gift for the cool dudes of the family on the occasion of Raksha Bandhan which will make them excited. The pack has Ferrari Black Eau De Toilette Vaporisateur Natural Spray, Hershey’s creamy milk chocolate along with a Rakhi thread and a roli chawal container. 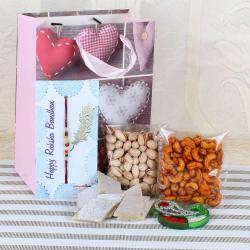 This pack is full of amazing deals which your loved ones will love it. 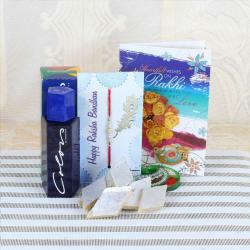 Send this special pack as a token of your love and hands full of blessings on the pious eve of Raksha Bandhan. This gift is a gift to be cherished for the rest of the life. 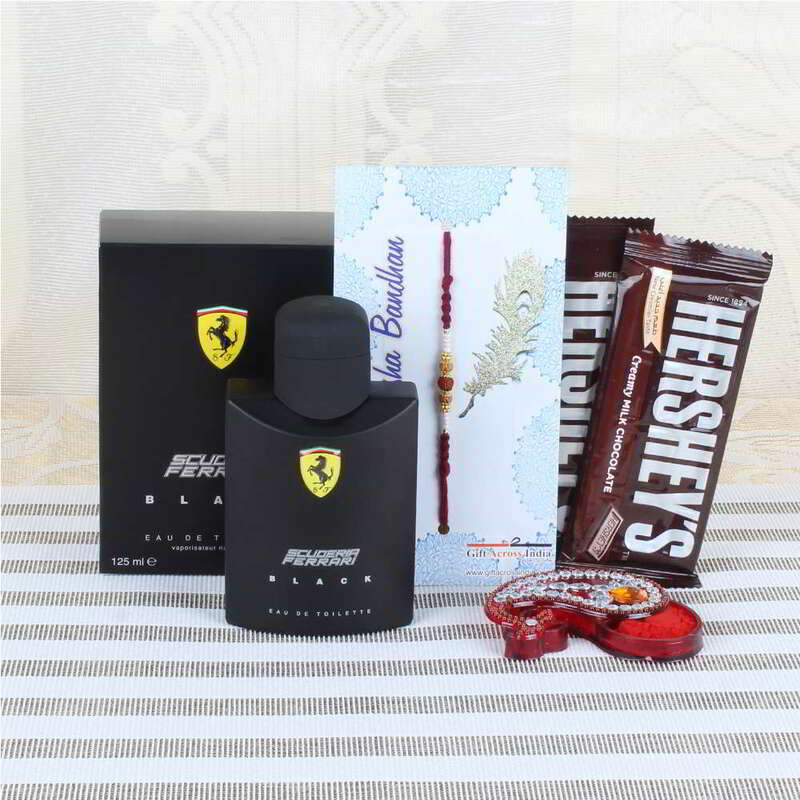 Product Consist: Scuderia Ferrari Black Eau De Toilette Vaporisateur Natural Spray (Weight : 125 ml), 2 Bars of Hershey's Creamy Milk Chocolate (Weight: 35 gms), Stunning Rudraksh Rakhi along with Roli Chawal Container.